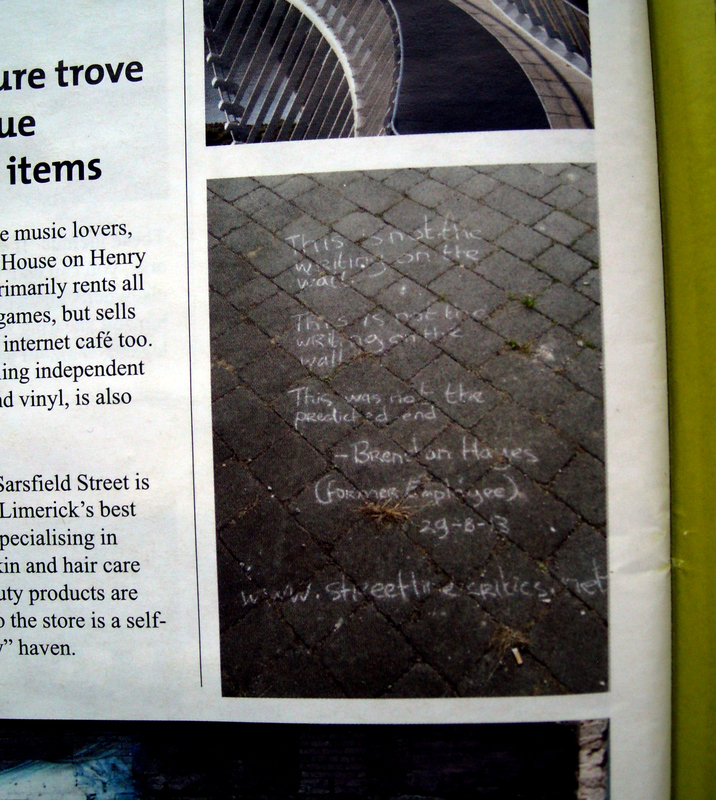 Hello Everyone, we kept forgetting to post this up but just for everyone taking part, we got a mention in the Limerick Guide, that has been circulating. Lets hope for a dry spring so we can soon get back to chalking. 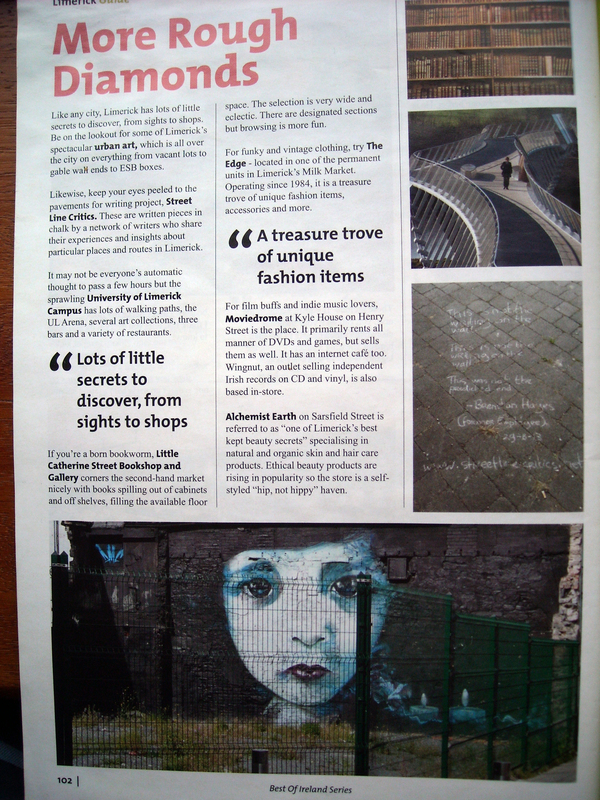 This entry was posted in Uncategorized and tagged Chalk, Limerick, Limerick Guide, Pavement, poetry, Socially Engaged Art, street line critics, Streets. Bookmark the permalink.